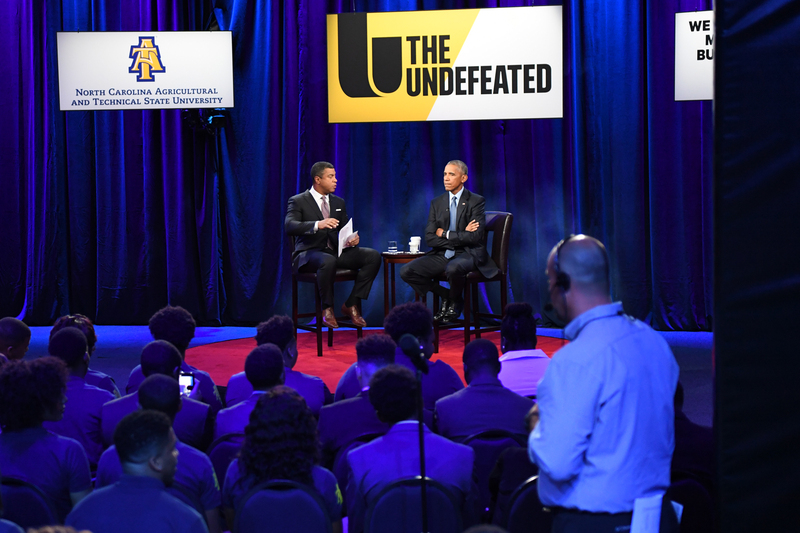 When you are finished with this one check out the look behind the scenes of what it took to put this show on. 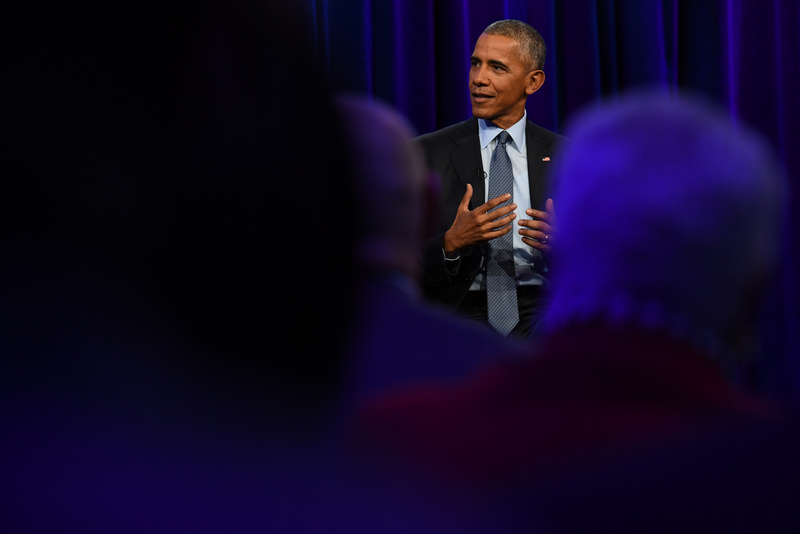 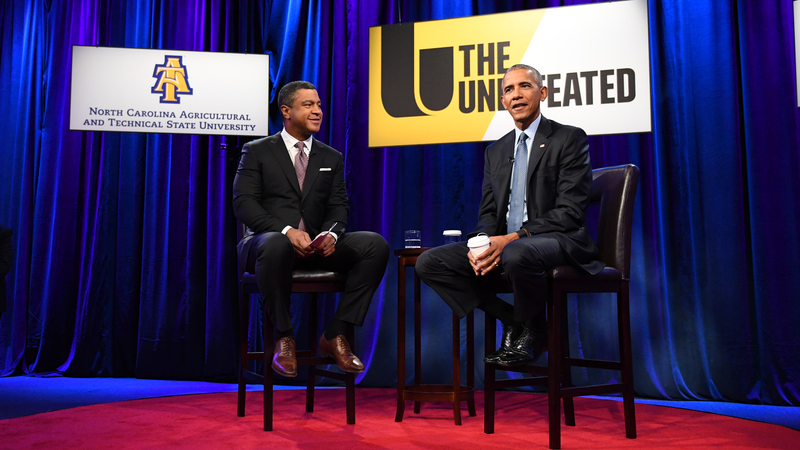 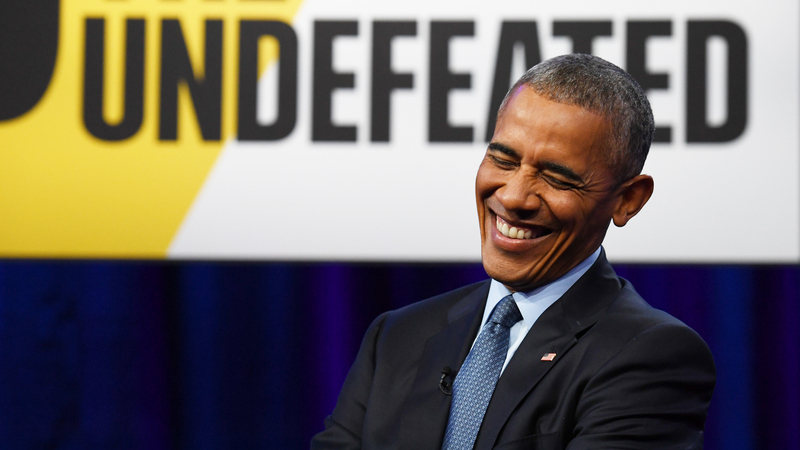 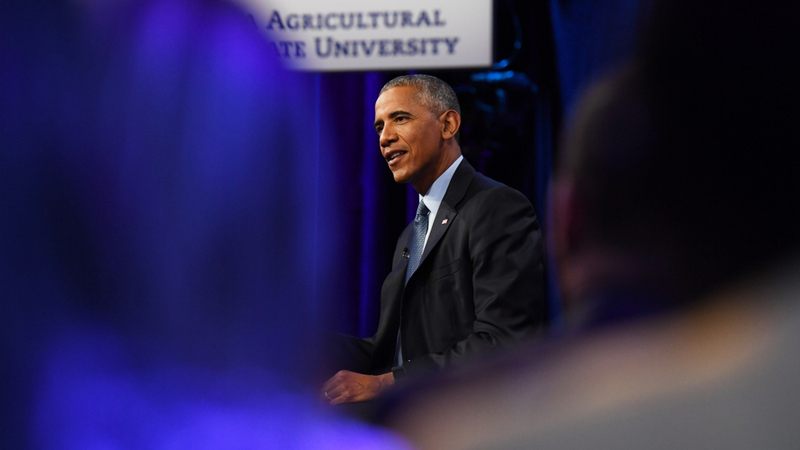 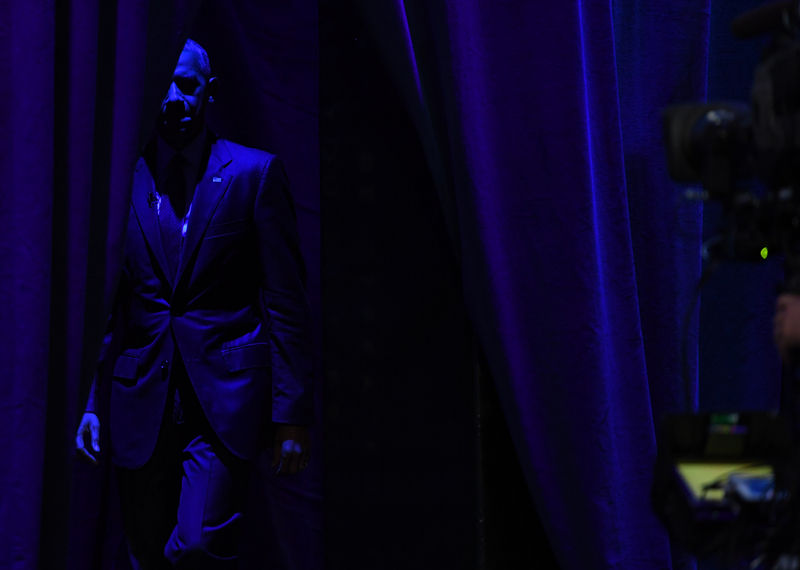 President Barack Obama laughs while on a break during ESPN’s The Undefeated: A Conversation with The President: Sports, Race and Achievement at the Alumni-Foundation Event Center on the campus of North Carolina A&T on October 11, 2016 in Greensboro, N.C.
ESPN's Stan Verrett talks with President Barack Obama during ESPN’s The Undefeated: A Conversation with The President: Sports, Race and Achievement at the Alumni-Foundation Event Center on the campus of North Carolina A&T on October 11, 2016 in Greensboro, N.C.
President Barack Obama talks about the challenges facing many young people growing up today during ESPN’s The Undefeated: A Conversation with The President: Sports, Race and Achievement at the Alumni-Foundation Event Center on the campus of North Carolina A&T on October 11, 2016 in Greensboro, N.C.
- during ESPN’s The Undefeated: A Conversation with The President: Sports, Race and Achievement at the Alumni-Foundation Event Center on the campus of North Carolina A&T on October 11, 2016 in Greensboro, N.C. 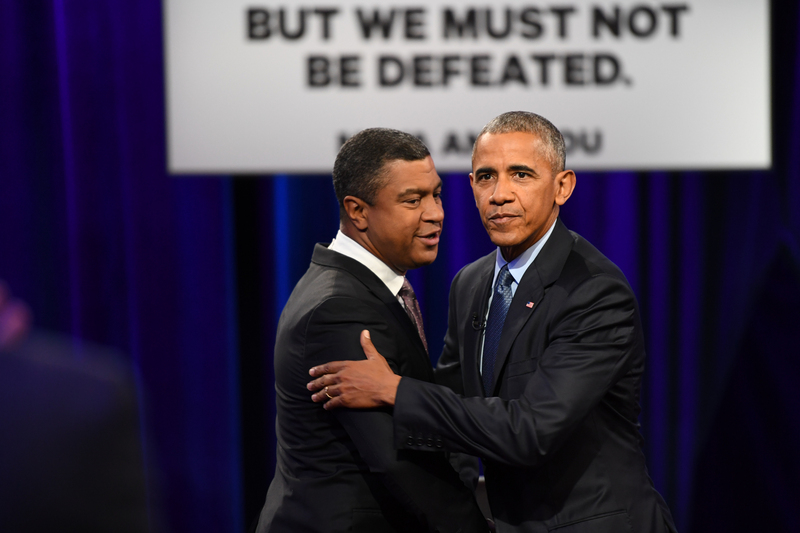 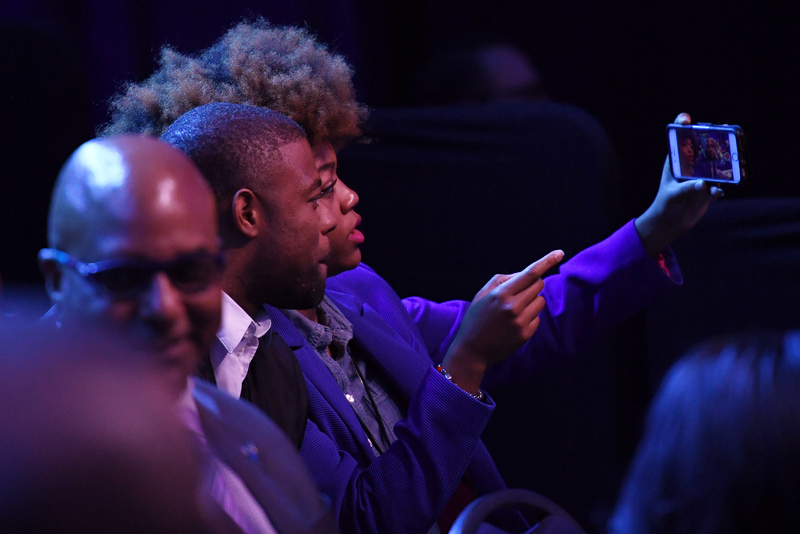 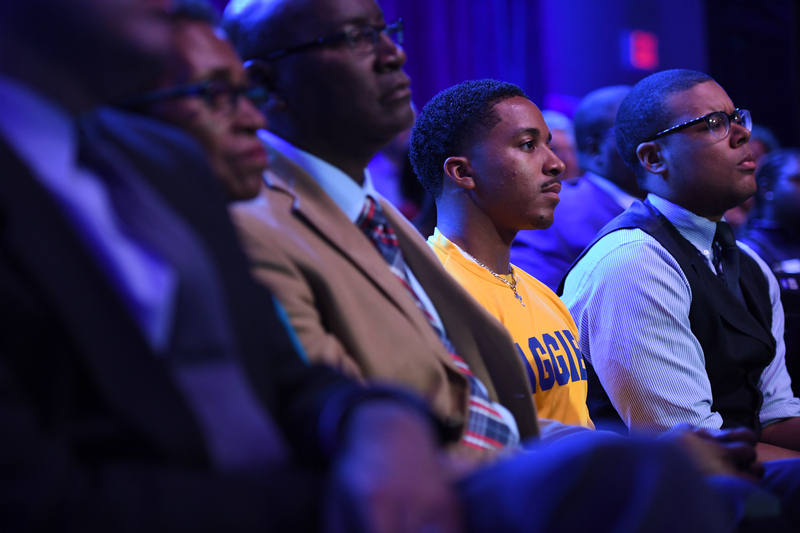 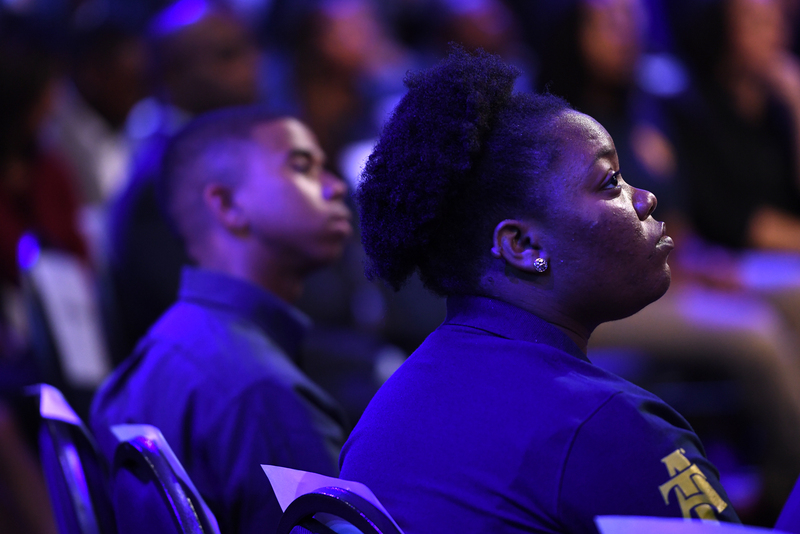 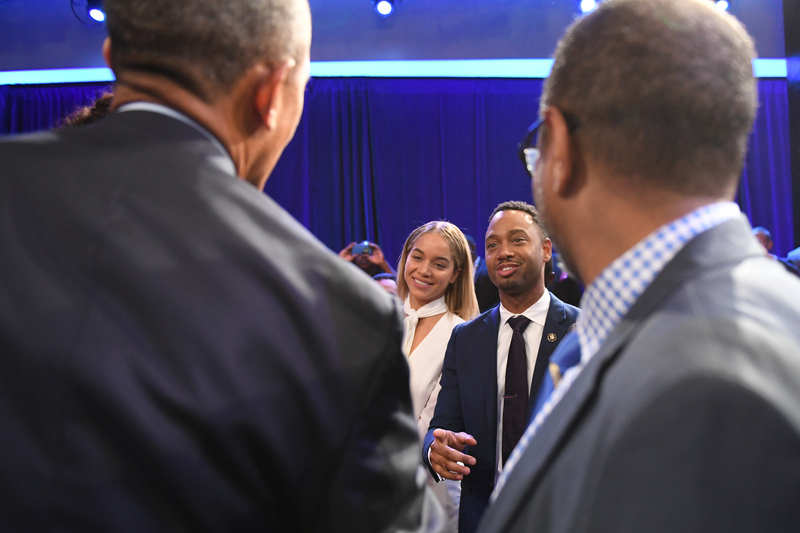 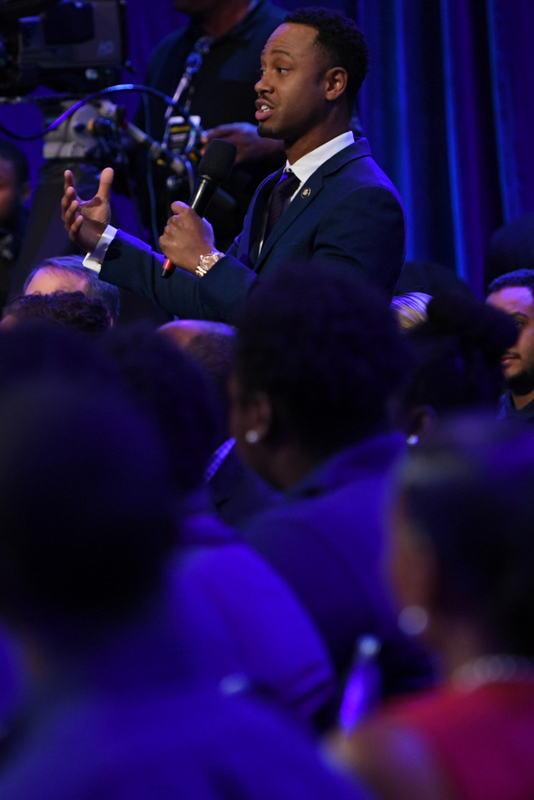 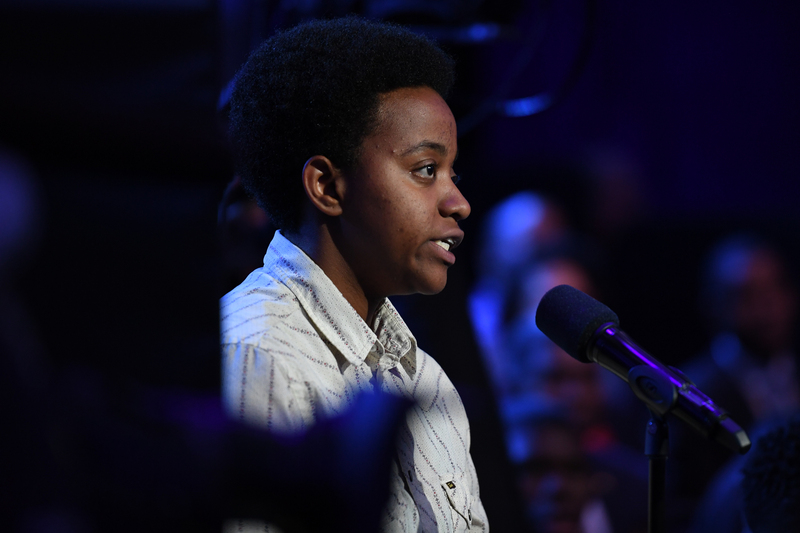 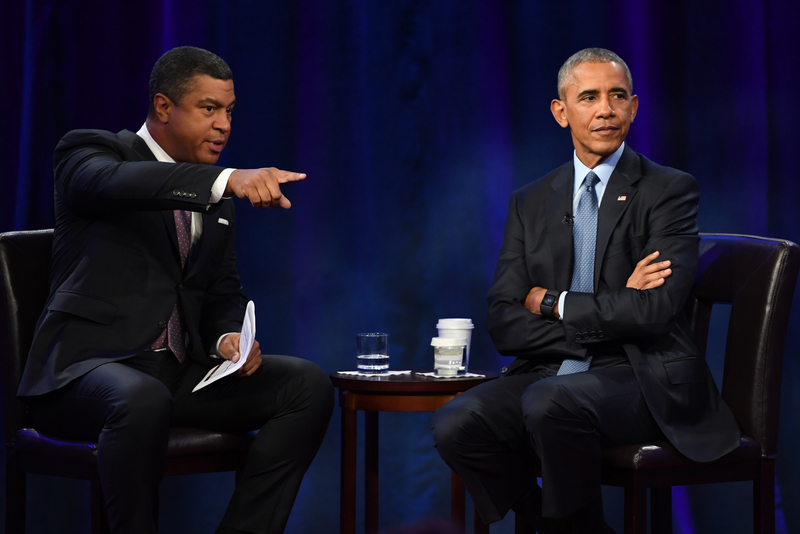 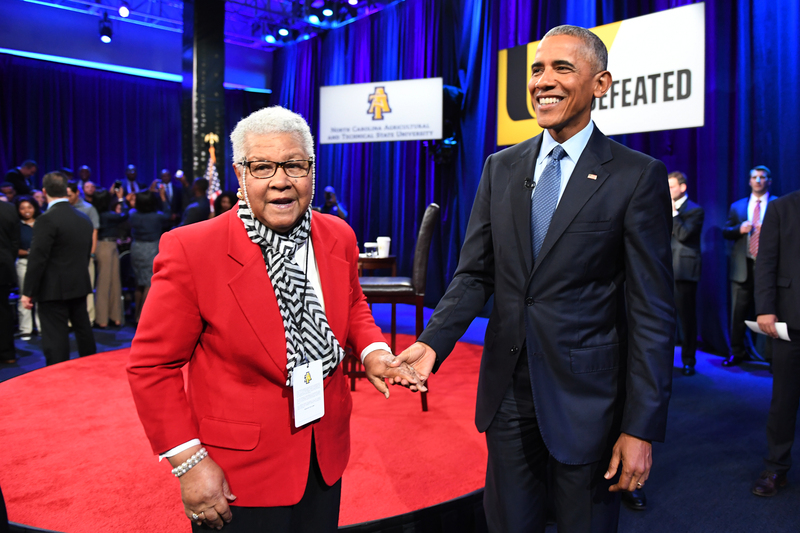 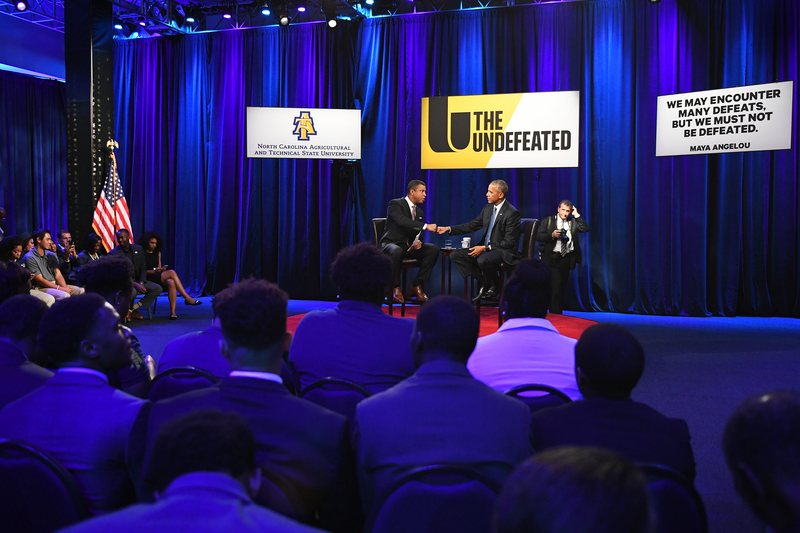 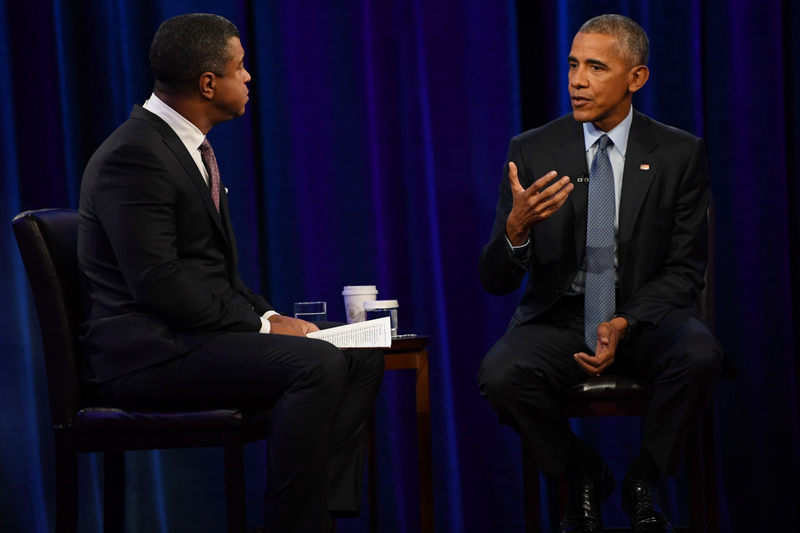 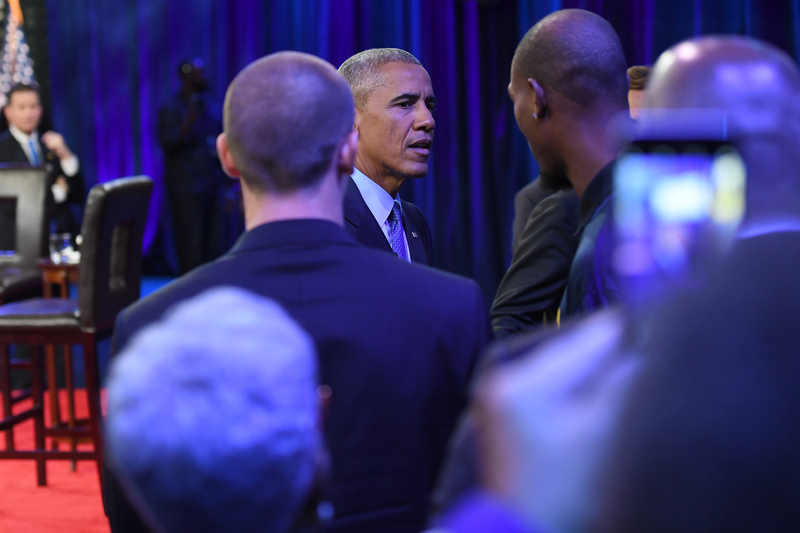 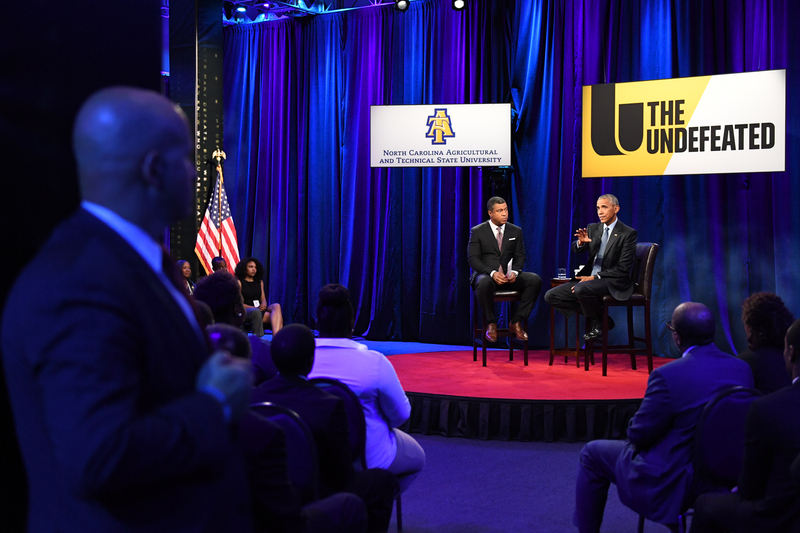 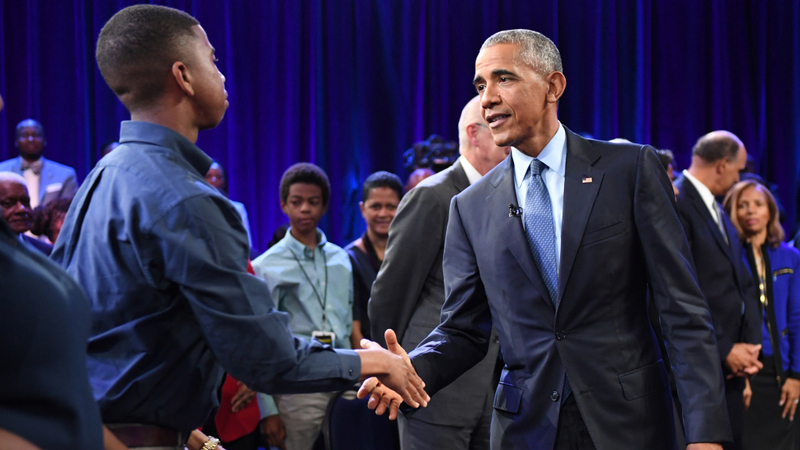 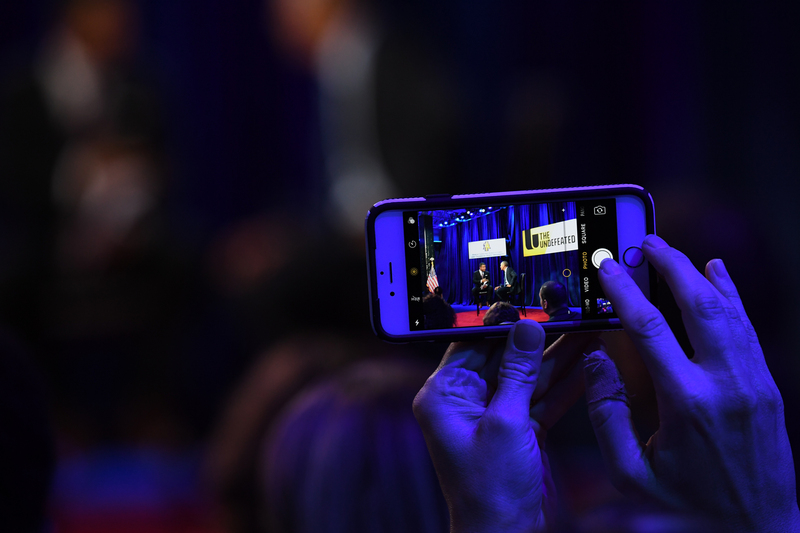 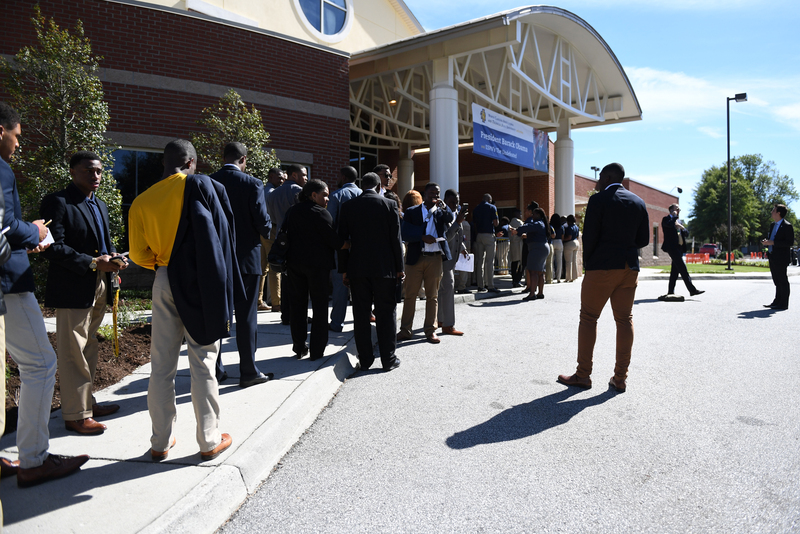 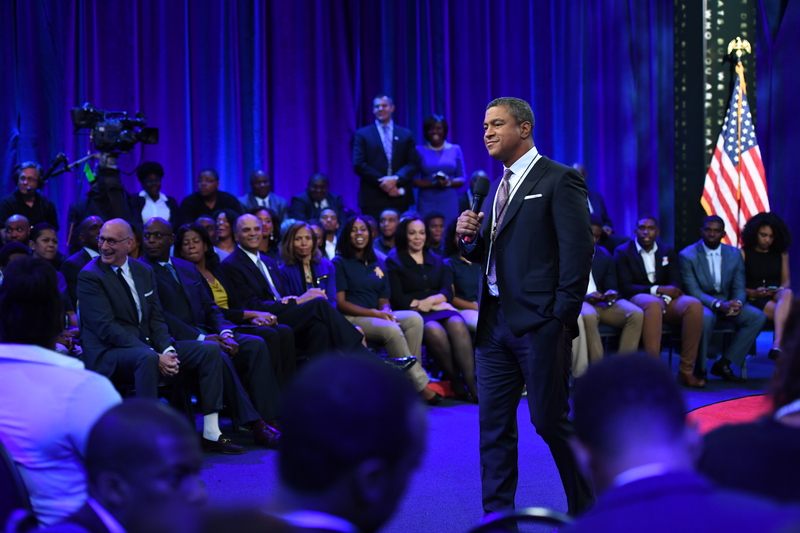 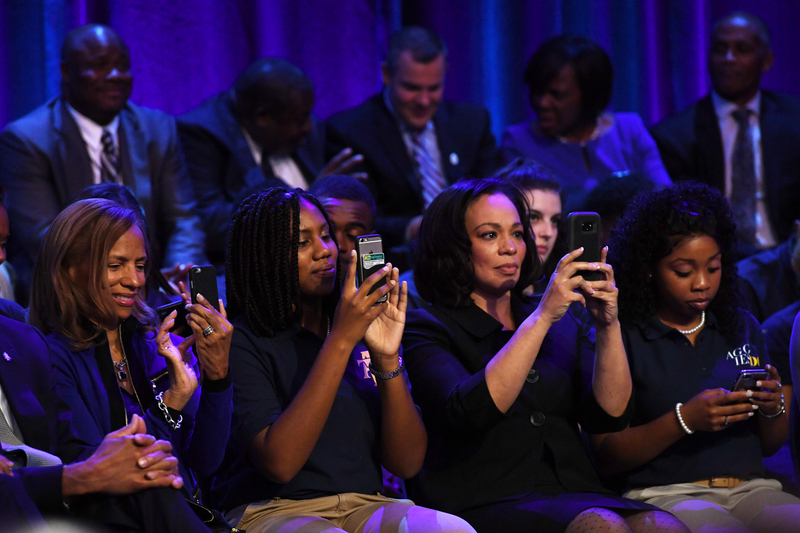 Audience members watch as ESPN's Stan Verrett and President Barack Obama talk during ESPNÕs The Undefeated: A Conversation with The President: Sports, Race and Achievement at the Alumni-Foundation Event Center on the campus of North Carolina A&T on October 11, 2016 in Greensboro, N.C.
President Barack Obama shakes hands with audience members after ESPN’s The Undefeated: A Conversation with The President: Sports, Race and Achievement at the Alumni-Foundation Event Center on the campus of North Carolina A&T on October 11, 2016 in Greensboro, N.C.